Scandinavia has been one of the European hotspots for LEITNER ropeways systems for years. With five projects for the winter season 2018/2019, the company is expanding its leading position further and is providing ongoing modernization impetus in northern Europe. 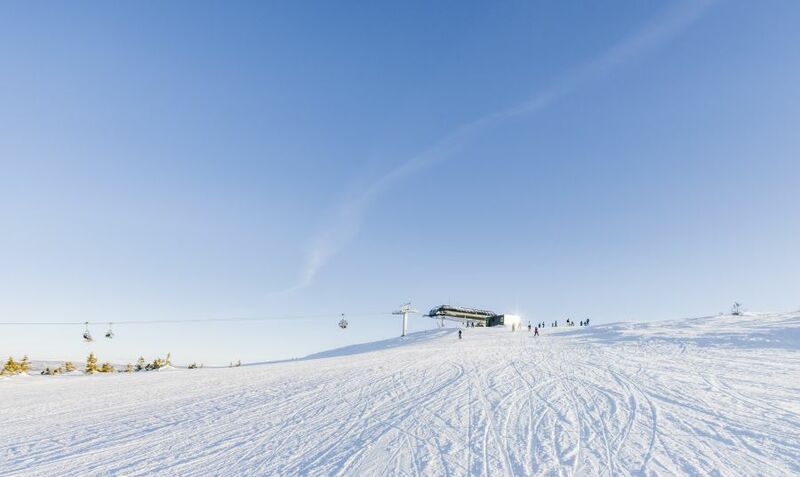 Four new chairlifts and a surface lift provide a safe, modern, and comfortable ascent not only to the ski hotspots in Sweden and Norway, but also to the small family ski resorts. The region of Sälen with its four ski resorts of Lindvallen, Högfjället, Tandådalen, and Hundfjället is one of the most popular winter sports destinations in Sweden. There is currently particularly heavy investment in infrastructure around Hundfjället and the bordering Norwegian resort of Trysil. For example, the new “Scandinavian Mountains Airport” is under construction here, which will make the attractive region more quickly and easily accessible in the future. 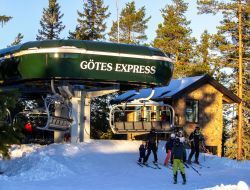 LEITNER ropeways has constructed a new 8-seater chairlift in Hundfjället in place of a surface lift, which carries guests directly to the summit of Långbackarna and thus also to the centerpiece in the west of the family ski resort. Not only is the entrance to many ski slopes of different levels of difficulty (up to Sweden’s steepest slope “Väggen” (the wall)) located here, but also the beginner’s ski area of Trollbäckstorget and the popular fairytale forest Trollskogen with sound and light effects, and 450 trolls and figures carved out of wood. 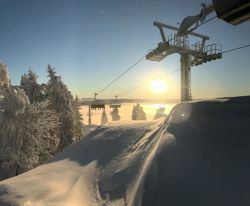 With the new LEITNER ropeways chairlift “West Express,” this area of the ski resort can now be reached even more quickly and in a more modern and attractive way. Fitted with weather protection bubbles, seat heating, a LEITNER DirectDrive and premium chairs, this system has also been implemented with the new stations in Pininfarina design for the first time in Scandinavia. “We are happy to have the chance to work together with LEITNER ropeways for the first time on project as big as the Hundfjället West Express. I am convinced that this debut will not be a one-off experience, but rather the beginning of further detachable facilities in the Sälen ski resort. Thanks to good cooperation we have succeeded in adapting our company’s experiences at other ski resorts to create a perfectly adapted new chairlift to suit the conditions in Sälen. 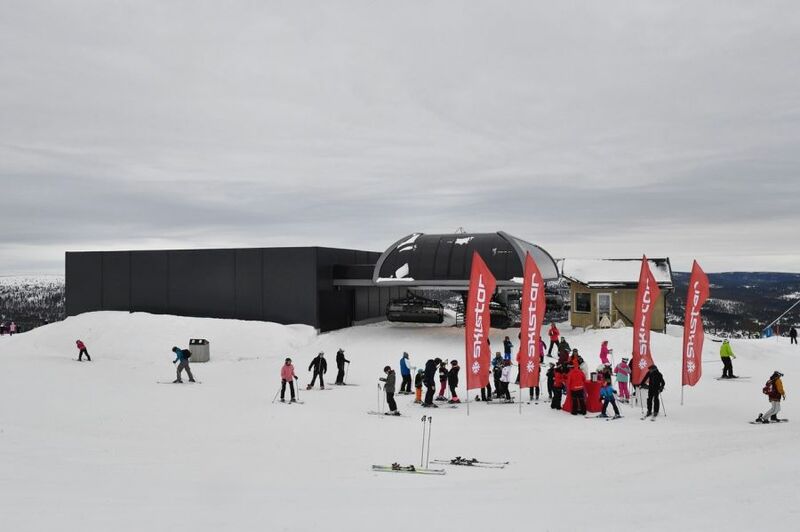 This is reflected in the guests’ high level of satisfaction with the new ropeway,” says ski area manager Per Granås. In addition, there is more fun in store for skiers with three further LEITNER ropeways 6-seater chairlifts in Norway and Sweden. 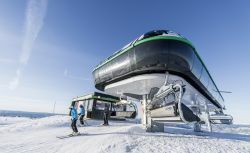 Three hours north of Stockholm the new CD6 Stollift B will replace the existing two-seater chairlift in the family ski resort of Järvsöbacken. As this area also attracts mountain bikers in the summer, the chairs have been fitted with bike holders. Special lighting ensures that the first detachable system in the ski resort is visible from afar at night and can also become a prominent landmark in the surrounding area. 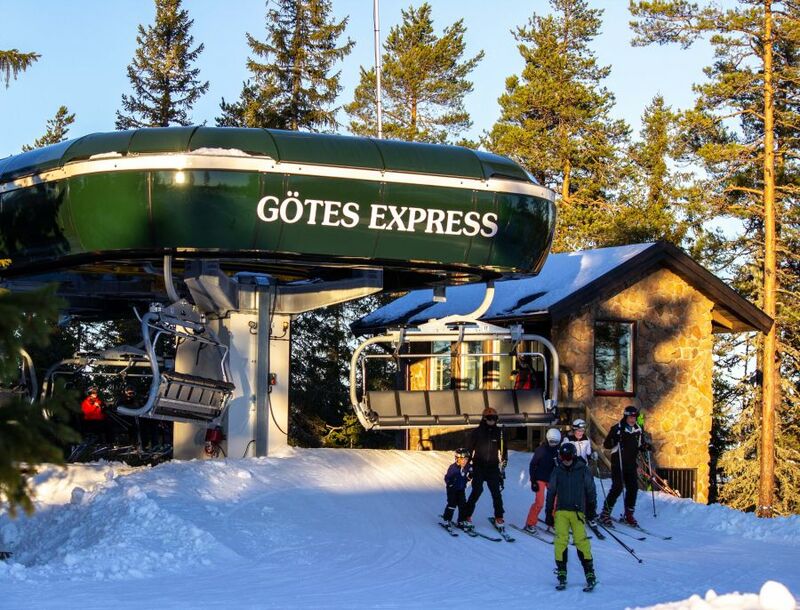 In addition to this project for a new customer, LEITNER ropeways built a new 6-seater chairlift “Götes Express” in the ski resort Romme Alpin in the Swedish municipality of Borlänge. This is already its fifth facility. 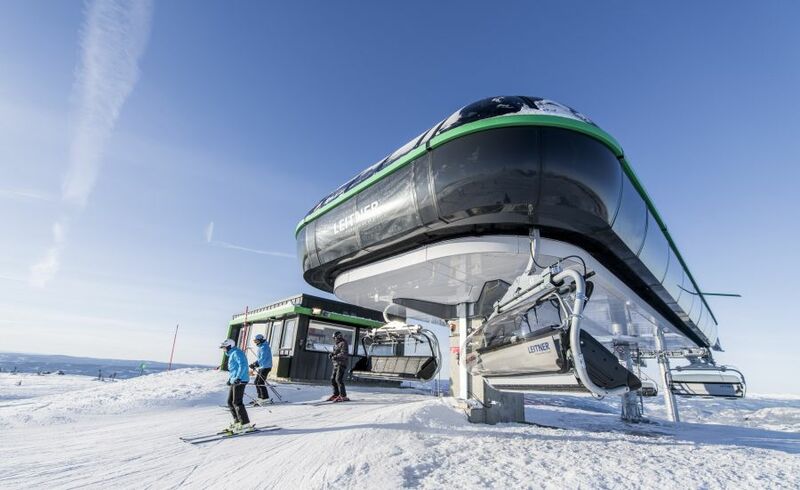 Transport capacity will also be increased by a new surface lift in the small family ski resort of Stöten i Sälen, near the Norwegian border, where LEITNER ropeways has already constructed an identical facility. The new lift will operate in parallel. The Norwegian resort of Øyer has also opted for the expertise of LEITNER ropeways. The Hafjell Alpine Resort, just 15 minutes from Lillehammer, is one of the best-known ski resorts in the country and the new 6-seater chairlift Hafjelltoppen was opened in time for the current season. This replaces a surface lift and runs from the entrance area of the ski resort to the highest point, Hafjelltoppen.